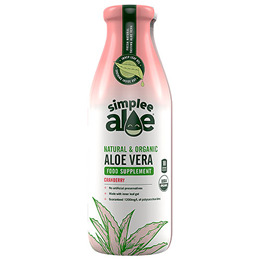 Introducing Simplee Aloe`s cranberry flavoured 100% natural and organic Aloe Vera. They handpick their Aloe Vera leaves and only use the inner leaf gel of the plant, and no bitter outer rind. 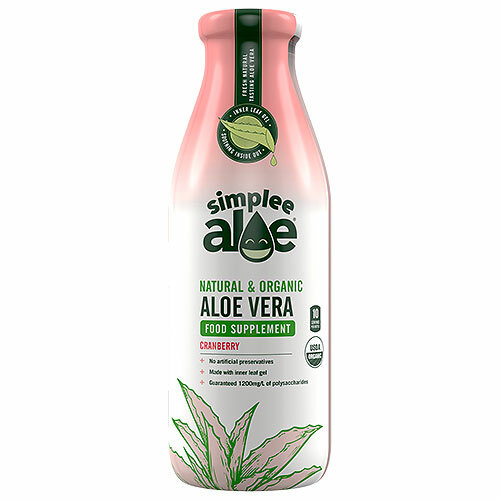 Below are reviews of Simplee Aloe Organic Aloe Vera Juice Cranberry - 500ml - Best before date is 5th May 2019 by bodykind customers. If you have tried this product we'd love to hear what you think so please leave a review.